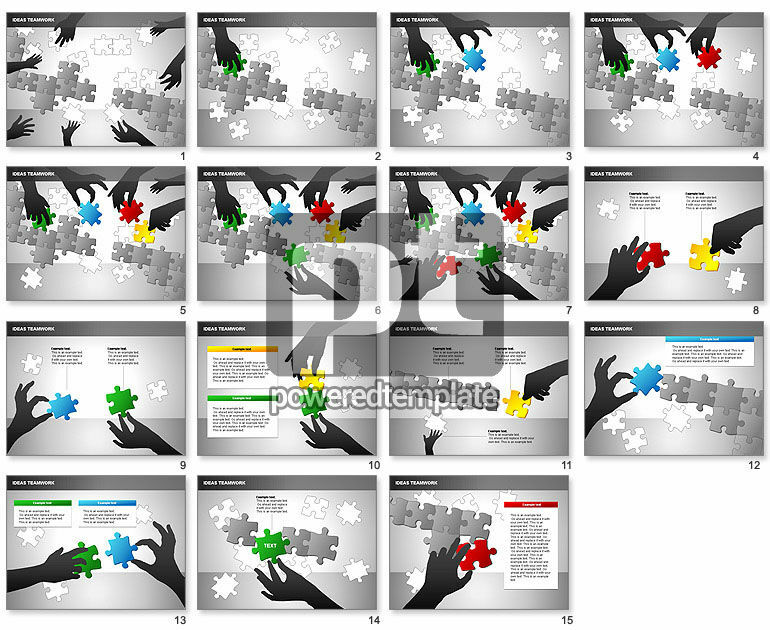 These presentation slides 26854 are complete compatible with Google Slides. Simple download PPTX and open the template in Google Slides. Nice collection of diagrams may fit for presentations on puzzles, guessing riddles, searching solutions, making decisions, teamwork, cooperative work, collective goals, common ideas, etc.